Test Before You Touch is almost a direct result of the “make inoperative” provision in the Motor Vehicle Safety Act as it applies to the Federal Motor Vehicle Safety Standard No. 138, Tire Pressure Monitoring Systems. In layman’s terms, the provision states that if a vehicle comes into a facility with working TPMS, it must leave the facility with working TPMS. A shop cannot knowingly disable TPMS in the vehicles that it services. Test Before You Touch was developed as a best practice to help shops prove they are following this provision. However, there are other benefits to testing TPMS-equipped vehicles before they enter your shop’s bays. Test Before You Touch can also be a valuable tool to help shops educate customers. 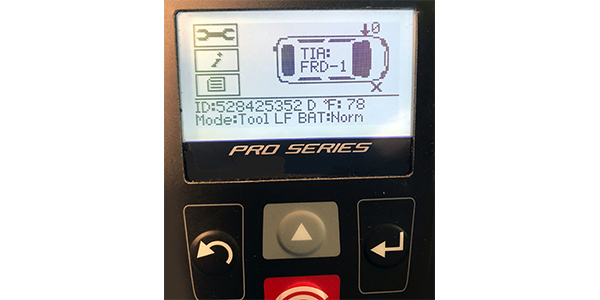 Test Before You Touch is a best practice suggested by almost all TPMS manufacturers and tool providers, as well as the Tire Industry Association (TIA). While some may find Test Before You Touch to be time consuming, it’s a step that shops would be remiss to skip. 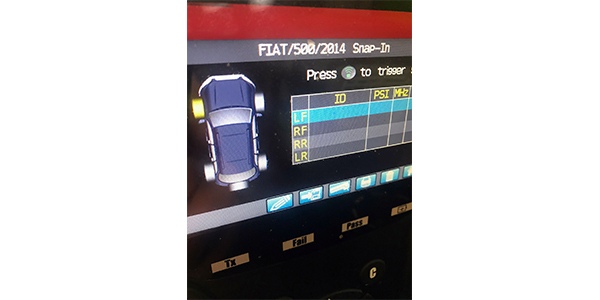 If a shop fails to check a customer’s vehicle for a TPMS malfunction indicator lamp (MIL), the shop could be on the hook for fixing any problems with the TPMS. If a MIL is found before service, the shop will have the opportunity to discuss TPMS options with the customer. Fixing the TPMS system should always be suggested and the benefits of properly working TPMS shared with the customer. Properly inflated tires grip the road better, providing better handling and shorter stopping distances. Additionally, properly inflated tires will also wear better than if they are underinflated, extending the life of the tire. However, if the customer denies TPMS service, the shop will have documentation that the vehicle came in with its TPMS system not performing properly. In which case, depending on the scenario, a shop may still be able to work on the vehicle’s tires and wheels. While the “make inoperative” provision can be a little confusing, a letter to the NHTSA from TIA sought to clarify different scenarios shops may encounter. (see sidebar at end of article). While TPMS has been mandatory on vehicles for 10 years, not all consumers understand the system. 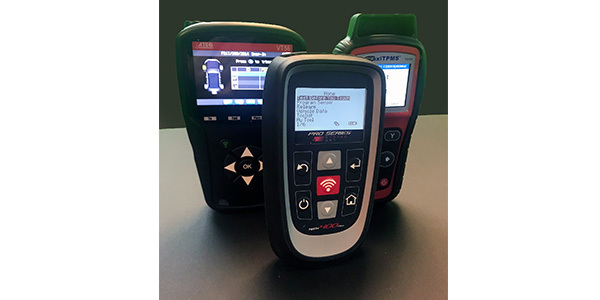 Practicing Test Before You Touch gives shops the opportunity to “talk TPMS” with consumers and educate them on the system. Any education you can provide will serve to better equip the customer to make informed decisions. After you perform your initial testing of the TPMS, share the pre-repair audit information with the customer. Let them know if the battery life of their TPMS is about to end. They may opt for a new battery or sensors now, so they don’t have to return later when the TPMS fails. Explain why a rubber valve cap is better at preventing corrosion than their metal valve cap. And, if it looks like their valve stem is experiencing corrosion and may break off with service, let them know this upfront. Test Before You Touch should be practiced with every vehicle that comes into the shop for wheel or tire service. Step 1: The shop should check for a TPMS warning symbol on the dashboard of the car. Step 2: Examine the valve caps. Replace all metal caps with rubber caps. Look for corrosion and how easily the cap can be removed. If you find defects, make notes to share with the customer. 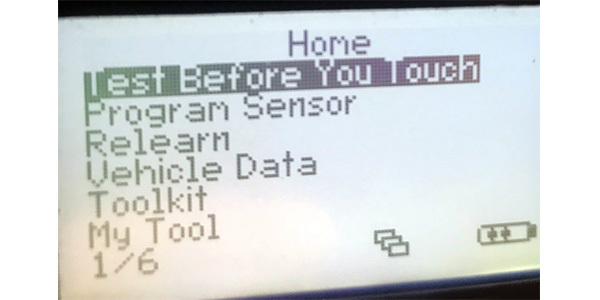 Step 3: Check the TPMS sensors with a diagnostic scan tool. Check for battery life and sensor functionality. Step 4: Print a pre-repair audit for shop documentation and to share with the customer. Test Before You Touch takes time to perform, but, in the end, it is a value to both the shop and the customer. 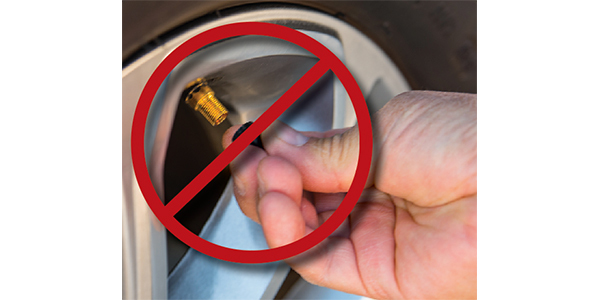 The NHTSA further clarified the “make inoperative” provision of the Motor Vehicle Safety Act in relation to TPMS in a letter to the Tire Industry Association dated November 22, 2011. Below is the response to one scenario shops may encounter. For NHTSA’s responses to other scenarios, please see the online version of this story. Scenario No. 1: If a motorist is made aware of an inoperative TPMS sensor and declines to purchase a new one, does the service provider knowingly make the system inoperative and violate 49 USC 30122(b) by removing the dead or damaged sensor and by replacing it with a standard snap-in rubber valve stem? NHTSA’s response: For the purpose of this response, we assume that you are referring solely to TPMS sensors that are integrated with the valve stem. Moreover, we assume that the sensor was inoperative before a customer brought the vehicle to the repair business. An illuminated malfunctioning indicator lamp could be an indication of an inoperative sensor. We also assume that you are describing a part within the TPMS system that cannot be repaired. In that event, a motor vehicle repair business would not be violating 49 UCS 30122 (b) by removing an inoperative or damaged TPMS sensor and replacing it with a standard snap-in rubber valve stem. The removal of a malfunctioning TPMS sensor that is integrated with a valve stem would not violate the “make inoperative” provision because the element of the system was already inoperative. However, a motor vehicle repair business that goes on to make any other element of the TPMS system inoperative, for example by disabling the malfunction indicator lamp, would violate the “make inoperative” provision.